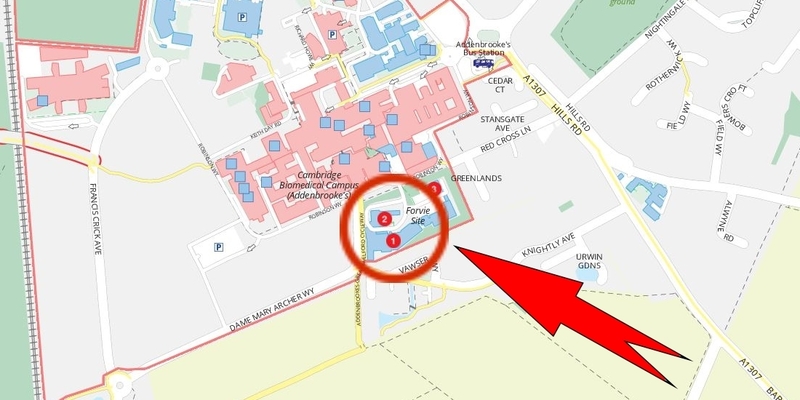 The Department is housed in two principal buildings: at the Strangeways Site, and the Forvie Site (part of the Institute of Public Health). Each site is just a short walk from Addenbrooke’s Hospital. Strangeways is 60 miles from London; Cambridge has good road and rail connections. 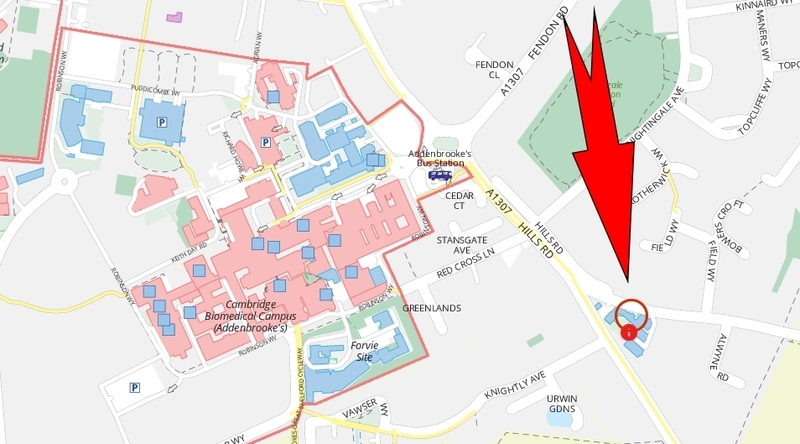 The nearest bus stop is at the bus station at Addenbrooke’s Hospital and it is a 5 minute walk from there. Use the Citi 1, 7 or 8 from either the town centre or train station. Alternatively the 99 Babraham Park and Ride bus runs a service every 10 minutes to Addenbrooke’s Hospital. Visitors, we have limited car parking, please contact reception to book in advance. The Institute is part of the Addenbrooke’s campus, located on the southern edge of Cambridge. Parking must be booked in advanced due to the limited number of parking spaces. Please contact the group you are visiting to arrange a space.